Since many users are getting confused, I decided to write a new tutorial for it. Hit the jump to jailbreak your iPhone 7. 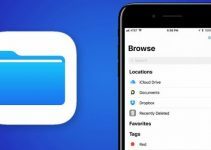 Update (May 29) – Beta 4 version has been released. It extends support to iOS 10.0.x-10.1.1. extra_recipe+yaluX jailbreak is a complete jailbreak for iPhone 7 and iPhone 7 plus users. 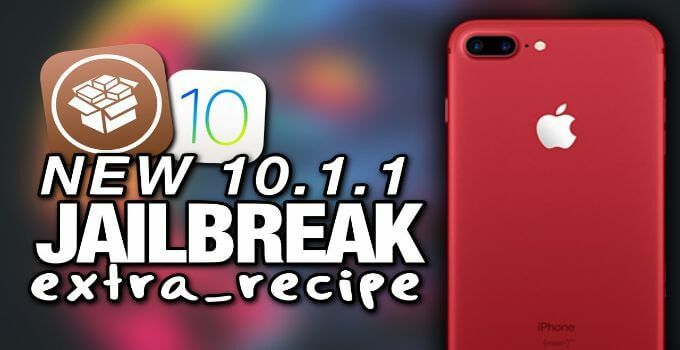 It is similar to yalu102 jailbreak for iOS 10.2. This tutorial will also be useful for users who are using the unofficial extra_recipe launcher. Enjoy Your Jailbroken iPhone 7! iOS 10.1/10.1.1 firmware jailbroken with mach_portal. 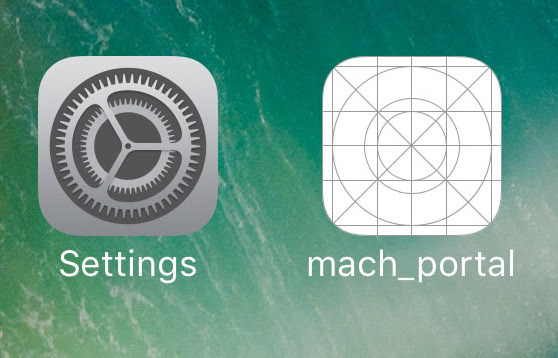 Step 1 Firstly, jailbreak your iPhone 7 or iPhone 7 plus with mach_portal. Simply follow the tutorial given below. If you have already done this, skip this step. Step 2 Remove the following Cydia tweaks if you use them. Step 3 After uninstalling these tweaks, use Kenobi for Yalub3 package to revert all changes. 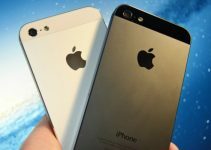 Step 4 Reboot your iPhone 7 or iPhone 7 plus. This will unjailbreak your device. Step 5 Download extra_recipe+yaluXb3 IPA file using the link above. 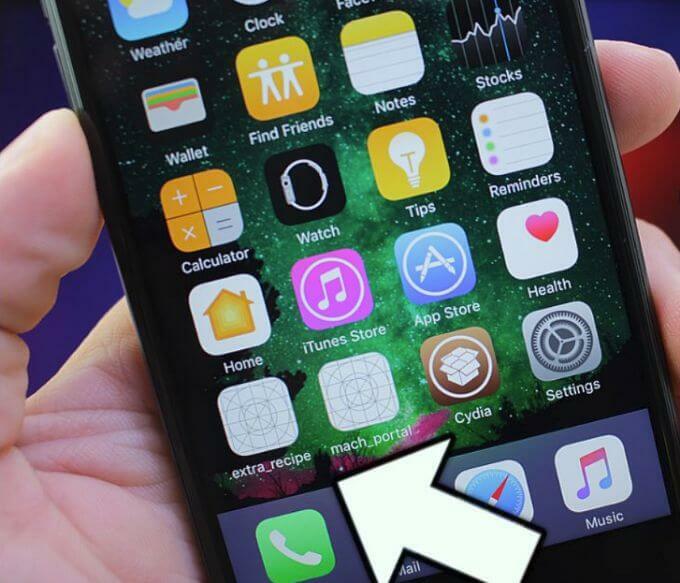 Step 6 Download Cydia Impactor from the link above and launch it. Step 7 Connect your iPhone to the computer with a USB cable. Step 8 Your iPhone is all prepped up so now we must move onto the actual jailbreak process. 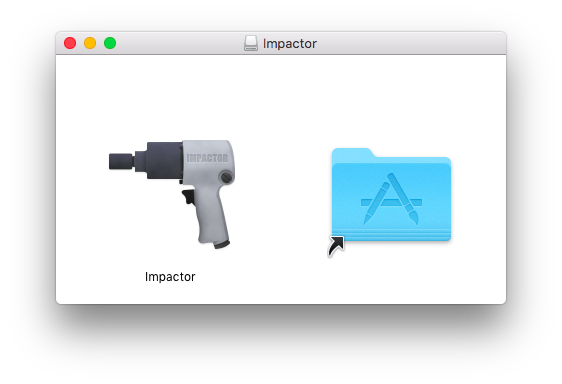 Simply drag the extra_recipe+yaluX IPA package into Cydia Impactor’s window. Step 9 Cydia Impactor will now prompt you to enter your Apple ID credentials. Enter your credentials and click OK. Step 10 Wait for Cydia Impactor to install extra_recipe+yaluX application. Step 11 Once installed, disconnect your iPhone from the computer. Step 12 Before you open the jailbreak application, you must authorize it. Navigate to Settings > General > Profiles & Device Management. Open the corresponding Apple ID you used in step 8. Tap Trust and Confirm. Step 13 Open extra_recipe jailbreak application. 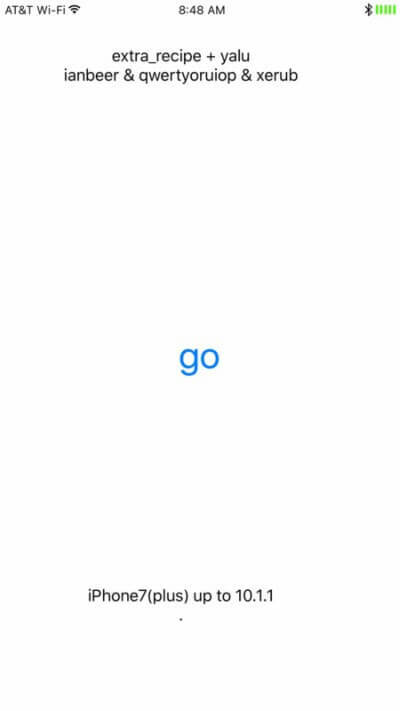 Step 14 Press the “go” button present in the application. Step 15 Your screen will now go black and your iPhone will respring automatically. If you don’t want to use Cydia Impactor, you can use Ext3nder tweak or Extender: Reloaded to install extra_recipe+yaluX. Here’s how to do it. Step 1 Download extra_recipe+yaluX IPA file using the link given above open it with Extender. Step 2 Sign the extra_recipe+yaluX IPA file with any Cydia Extender tweak. Step 3 Delete mach_portal (this step is optional). Step 4 Follow steps 2 and 3 from Method 1 as given above. Step 5 Reboot your iPhone to unjailbreak your device. Step 6 Run extra_recipe application to jailbreak your device. That’s all there’s to it! Your iPhone 7 will now be jailbroken with Substrate running. All issues related to CocoaTop, Anemone, and backboradd will be gone after you use this. If you are experiencing issues with this jailbreak, just drop a comment below. I will soon do a guide on fixing extra_recipe+yaluX errors. SnowBoard vs Anemone – Which is the better theming engine? Hi, I have an iPhone 7 on iOS 10.1.1 brand new and has never been jailbreaked or tweaked, is there a way to install an untethered jailbreak? If so please tell me where can I find a guide on how to, if there is no untethered then what’s the best (easy) solution to jailbreak and then re-jailbreak when restart without computer. No, but you can use a semi-untethered one. I suggest waiting for Meridian jailbreak to drop. Is there any way to install this without pc? So I just jailbroke my 7 plus on 10.1.1 using the extra recipe IPA and the Cydia impactor. So far everything has been good but I have noticed a couple things. First, when using anemone my themes won’t fully apply when going back to my “stock” theme unless the option to restart the springboard is given. Secondly, I’ve noticed that my signal strength indicator (not bars but the small circles) is showing no signal strength and if it does show it’s only like 1 circle. Not sure if it’s actually reflecting my true signal/service strength but feel like it wasn’t like this prior to the JB. 1. Coolstar no longer supports yalu or extra_recipe so you will experience issues with Anemone. 2. Are you able to make calls properly? Are you using any status bar or signal tweak? Thanks for the reply. That’s a bummer to hear about Anemone no longer being supported with extra recipe. Should I just use winterboard like I used to back in the day when JB was still with it? As for calls, so far so good, although it’s only been a day since the JB so only time will tell. No, not using any status bar or signal tweaks although I believe that one of the themes (iVent iOS 10) I tried to use made a change to the signal/status bar and hasn’t gone back to normal since restarting Springboard or even having to re-jailbreak due to restarting/reboot. I should note that when not in the JB state, the signal bar/circle issue went away. This makes it seem as though it’s a bug of some kind and not a true indicator of actual signal strength, although I’m no expert. Yes, you should use Winterboard. As for the signal issue, try installing a “signal tweak” and then see if it work. Winterboard says it’s only for iOS 2.0-9.0. I tried installing it anyway and it forced a reboot. After re-JB I tried to install a signal tweak and due to WB not working the tweak didn’t seem to work and thus the signal issue still persists. I’ve also tried to install a complete theme and that didn’t work/apply either. I’ve also noticed a couple other issues now as well. The news feed widget is unable to load anything. Also, when texting (iMessage or regular text) I’m unable to use the #images option to insert meme type pics. That’s weird. Which device/firmware are you using? but i’m on 10.0.2 on my iphone 7 🙁 any idea ?? Hello, Tony. Is it even recognizing your device? If it doesn’t, I recommend giving mach_portal a try. if i try to install “extra_recipe+yaluX beta4” it says it needs ios 10.1 but im on 10.0.1 on my iphone 7 🙁 any idea ? Why don’t you try mach_portal? Keep trying, it can take a lot of tries to get working. Now the i tried to reactive the jailbrak by extra_recipe but it crashed immediately! Hello, Aziz. Try installing it again with Impactor. Hello, A-Rahman. Try enabling airplane mode before running the jailbreak app. It does take a few tries to work properly. Hello, Steelahive. Yes, you’re right about 10.2.1 not having a jailbreak. So far as iPhone 7 plus is concerned, you can jailbreak it anytime. It’s perfectly fine to perform this procedure even at this stage. You can also use just ER instead of ER+mach_portal as it now installs Cydia automatically. 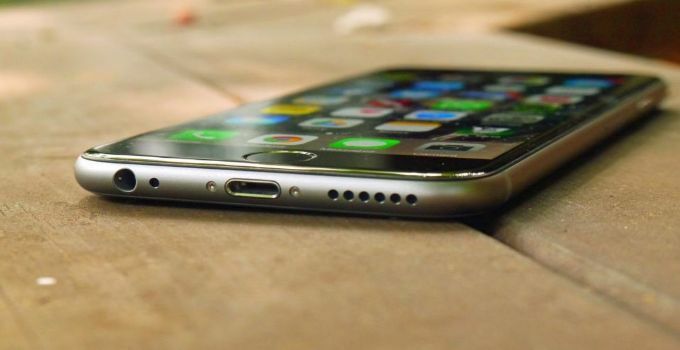 Your iPhone can’t get bricked anymore by jailbreaking. Thank you luca worked charm on first reboot..
That’s great! Glad it worked for you. No jailbreak berfore on this device installed. What´s going wrong? Luca I have a question… In your opinion, if I have “Ext3nder” installed on my iPhone, can I install “extra_recipe+yaluX” by using it without “Cydia Impactor”? Yes, you can go the Cydia Extender route too. I highly recommend you wait for another update. Let it come out of beta and then install it. Just wait for a few more days and then decide. If he updates it, you can then use it. If you want to take the plunge, go ahead and install it. I have updated the guide with the Cydia Extender method now. Order 66, Substrate Fix for Yalub3, Order 65 for Yalub3 and Yalu1011 Fix? Moreover, how can I use Kenobi for Yalub3 package to revert all changes? Thank you so much, Ricardo! I have now fixed the error. Correct you have to delete first and then reboot. Fixed. I added more steps and somehow bungled it up. Do we have to delete also “SubstrateEnabler” from Ijapija? Yes, remove all “fix” tweaks and then sideload the new IPA. Hey, cause i am newbie to this i have two question. 1) i am unjailbroken on i7 ios 10.1.1. Do i have to use first mach_portal+Yalu to jailbreak my device and then use extra_recipe+yaluX ? 2) does this jailbreak needs reasign every 7 days and needs rejailbreak after any reboot? If yes,Is there any tool/tweak or way to make this jailbreak “unteethered” as it is done with yalu 10.2? 1. Yes, first install mach_portal because ER does not install Cydia. 2. Yes, it needs to be resigned every 7 days and requires re-jailbreak after each restart. 3. You can make it untethered using Ext3nder like yalu102. My opinion – I recommend you jailbreak with mach_portal and stay on it for the time being. When a new update for ER comes, you can then upgrade. hi luka how to make extra recipe untethered with Extender do u mean resigning after 7 days with extender?